In spite of the dramatic differences between New Zealand's two main islands, there is a strange symmetry to the terrain of Te Araroa. Entering Southland, it is not far to the edges of Longwood Forest, mirroring the dense mud of Ratea or Pirongia. Further south, the trail drops down to the southern coast, where it undulates between sheep pastures high on the cliffs and the rocky beaches below. There was even a long, open beach to remind us of our first days on 90 Mile Beach (luckily, without the hailstorm this time). A stretch of urban wasteland and some good old-fashioned highway walking completed our deja vu, bringing back nightmares from Mercer and Huntly. Needless to say, Southland was not our favorite stretch of the trail. There were, however, still some moments of beauty in these final miles. Leaving Te Anau, we had a day of lovely forest walking, interspersed with massive tussock fields where the grass was often well over my head. 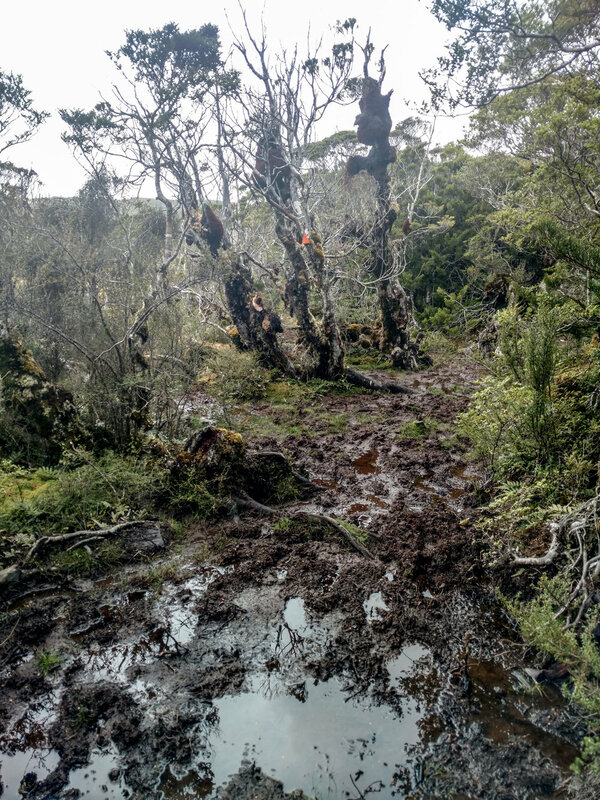 Eventually, the tussock gave way to a peat bog that felt underfoot like the cushiest carpet you could ever imagine. And later that day, we reached the top of a steep climb to find a perfect rainbow framing the ridgeline behind us. Longwood forest was also much prettier than was advertised by the hikers heading north, who called it a muddy wreckage. Of course, those lil' baby northbounders had yet to encounter the slip-n'-slide down Pirongia, so I suppose we'll have to forgive them. I won't say it wasn't muddy at all, but really, most of the forest was quite charming. Ok, not this part. This part wasn't that charming. Deep in Longwood, we even stumbled upon some amazing trail magic from another hiker, Blair, who had hiked a cooler full of goodies up to an old hut. We caught him refilling the cooler, so naturally, we sat down to share a cold beer and swap trail stories, as hikers are wont to do. Blair was preparing for the PCT, so we reminisced about good times while offering up advice and asking about his plans for the trip. But perhaps the most beautiful and most surreal moment of our final days on the trail was the last sunrise of the trip. Ready to reach the end, we woke up at 2:30am to catch low tide on the 15 miles of beach to Invercargill. For hours we walked along the wide, flat sand in near-complete darkness. Then, just as the first flush of magenta appeared on the horizon, we saw a string of strange creatures coming toward us along the shoreline. We started to hear the pounding of hooves and before we knew it, three horse-drawn chariots flew past us, racing down the beach. For better or for worse, the rest of that final day was about as lackluster as they come. 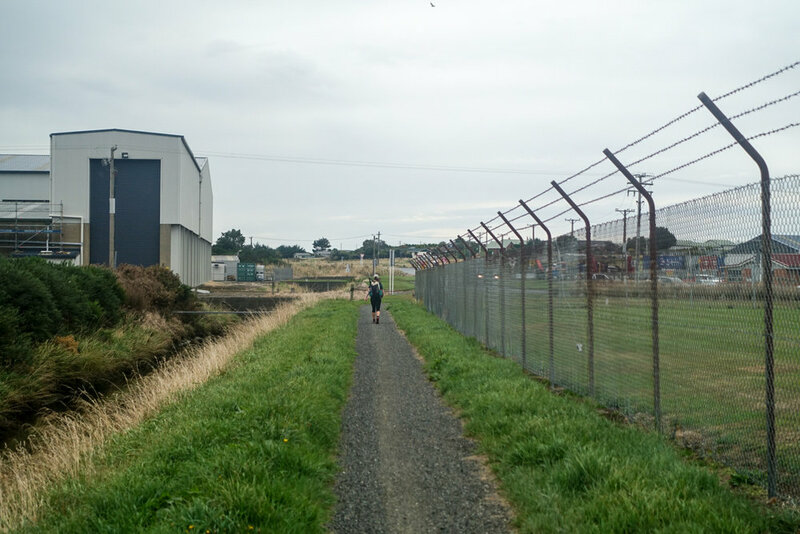 We shared suburban sidewalks with a hoard of school children, then passed through a torrid estuary, followed by the scenic Invercargill wastewater treatment plant. Naturally, it was raining as we turned onto Highway 1. In their abundant wisdom, the Te Araroa Trust decided that instead of ending the trail at the ocean, hikers needed to experience the infinite joys of New Zealand's largest shipping route before ending the epic journey with a roadwalk into the weird little town of Bluff. In the pouring rain, the end of our adventure was almost comically anticlimactic. And to be honest, neither of us cared very much. I think the end of a thruhike is always a bit of a funny thing, because it's never the best part of the trip. If it is, I suspect you're doing something wrong. But this trail in particular has an ending that feels like a senior slump. No epic summit on Mt. Katahdin, no clear-cut border into the Canadian wilderness. Just a strange little monument in a strange little town that most people go to only to get somewhere else. No, we preferred to think back on the highlights of our trip: the moonscapes of Tongariro National Park and our spectacular summit day on Taranaki, the first views of the Southern Alps from the gorgeous Richmond Ranges and watching wild horses run in Nelson Lakes. In 95 days, we mountain biked through Rotorua, canoed the Whanganui River, and climbed up a waterfall (or several) on our way to Arthur's Pass. We also met some ridiculously amazing people who helped us along the way. Thank you so much to everyone who has followed along on the weird, wild ride that has been Te Araroa. And an extra special thanks to all of our magnificent friends spread across New Zealand: our journey would not have been the same without you. If there's anything you'd like to hear more about from our trip or if you have questions about the TA in general, let us know in the comments or shoot us an email (captainsofus@gmail.com). 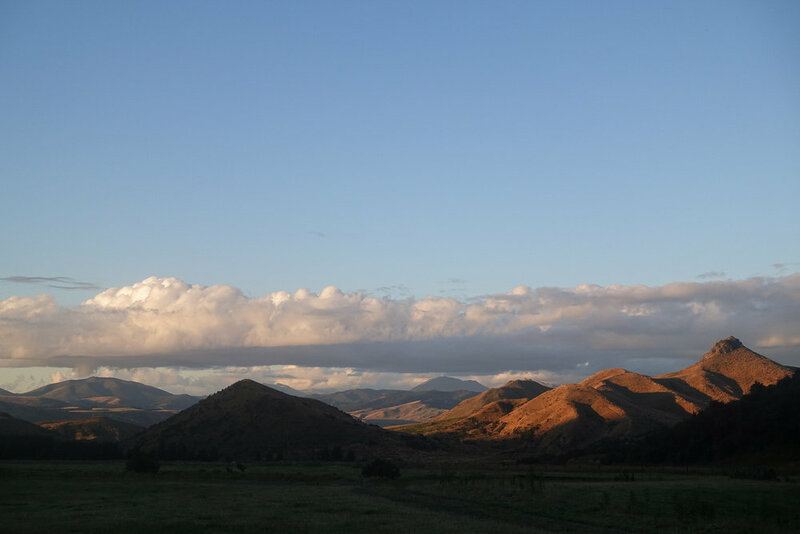 We're taking a little break from blogging, now, while we're beginning some new adventures, but we promise that we'll be back soon with more stories and photos from New Zealand and beyond.